Shenzhen has created a market for trading carbon emission allowances between the city’s largest companies, driving down carbon intensity and CO2 emissions. In 2013, the Chinese city of Shenzhen launched an emissions trading scheme (ETS), which allows companies and public infrastructure projects to trade carbon emissions under the Chinese Certified Emissions Reduction program. 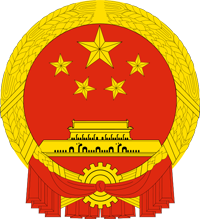 The allowances in Shenzhen’s ETS are based on carbon intensity and the city caps the number of allowances based on the results of the best performing companies and agencies, creating healthy competition. Six hundred thirty-five key companies and 197 large public infrastructure projects participate in the scheme; together these emitters are responsible for 40% of the city’s carbon emissions, making the impacts of the scheme substantial. Shenzhen’s ETS has successfully decoupled economic growth from climate impact, as participating industrial companies have achieved a 12.6% reduction in CO2 emissions while increasing their value by almost 40%. The city plans to scale its ETS to include more companies as well as the transportation sector, where CO2 emissions are rapidly rising. Shenzhen expects the scope of transactions within the market to expand, and, when implemented at full scale, to reduce companies’ long-term costs of mitigating emissions. At this stage, the main challenge for Shenzhen is regulating allowance allocation as well as enforcing companies’ adherence to their allowances. To overcome this, the city carefully monitors the market at each step and produces frequent assessment reports that clearly show how the ETS has succeeded in driving a low-carbon development without harming economic growth. Economic Companies covered by the ETS represent 26% of the city’s GDP and have reduced their carbon intensity by 34%. Environmental By reducing power generation from coal, the ETS improves air quality and lowers harmful PM 2.5 particle emissions. Social In order to involve the local community, the city holds exhibitions and promotional campaigns to promote the uptake of a low-carbon lifestyle. Shenzhen is a major city in Guangdong Province, China and one of the four largest and wealthiest cities of China. 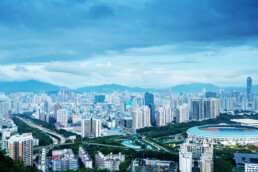 Shenzhen is a major financial center in southern China and its modern cityscape is the result of its vibrant economy made possible by rapid foreign investment since the institution of the policy of “reform and opening” establishment of the SEZ in late 1979.